I made two new soaps this weekend. One was a new fragrance and a refinement of a previous recipe. It set up faster than I wanted so the colors were a bit gloppy and didn’t flow in smooth and evenly. 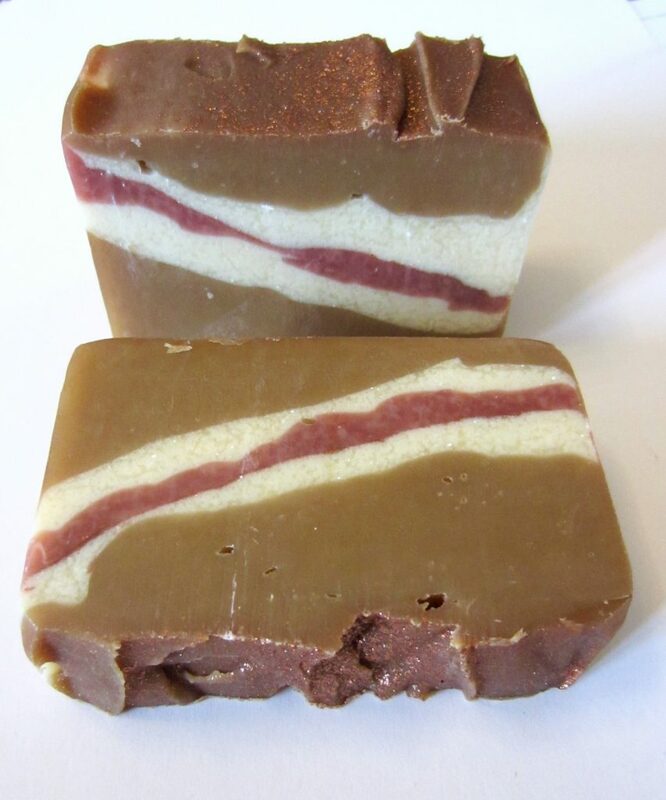 The result is that I created soap that looks like it has a slice of bacon down the middle. I’m going to need to reconsider my design for this fragrance! 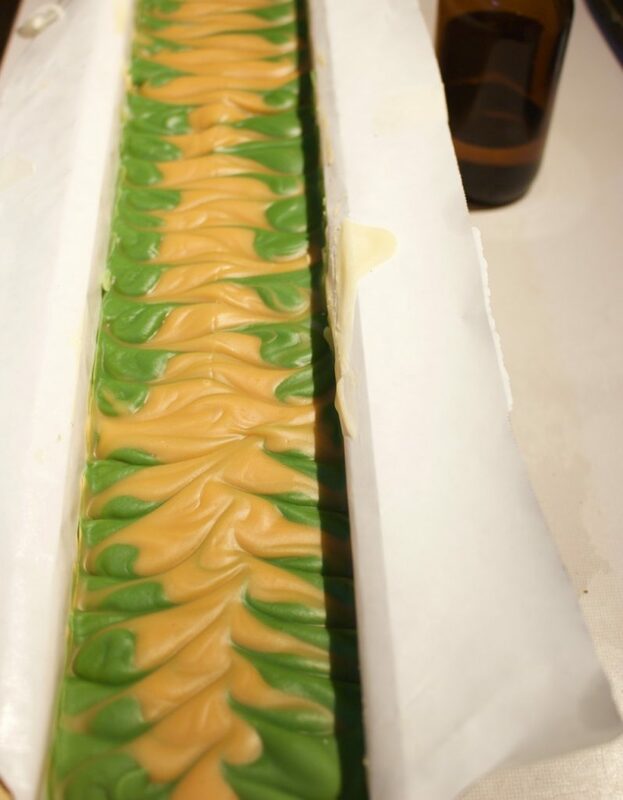 To redeem myself I made a cedarwood-lime soap today. This one sets up very quickly so I had to unmold and cut all within a few hours and I didn’t have time to get my lights up, but here it is on my cutting table. This one turned out quite nicely. Ugly or not, they both count towards my 365, and I’m now at 10! First off, I did not see bacon. (I did, however, laugh out loud at the comment.) And I’m not sure dragon’s blood needs to look smooth and neat. I don’t see them as a precision animal. 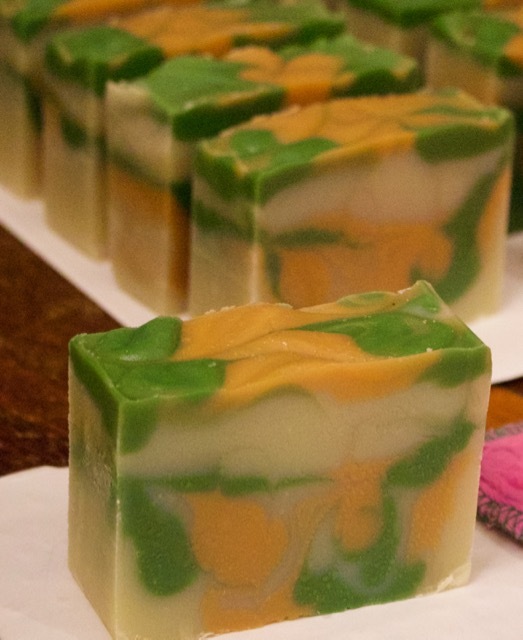 Second, the cedarwood-lime looks gorgeous. I didn’t see bacon until someone else mentioned it, but now I can’t un-see it. It’s always going to be bacon soap to me.